A green vegetable of some sort – at the moment, Beans – it’s got to be beans!! 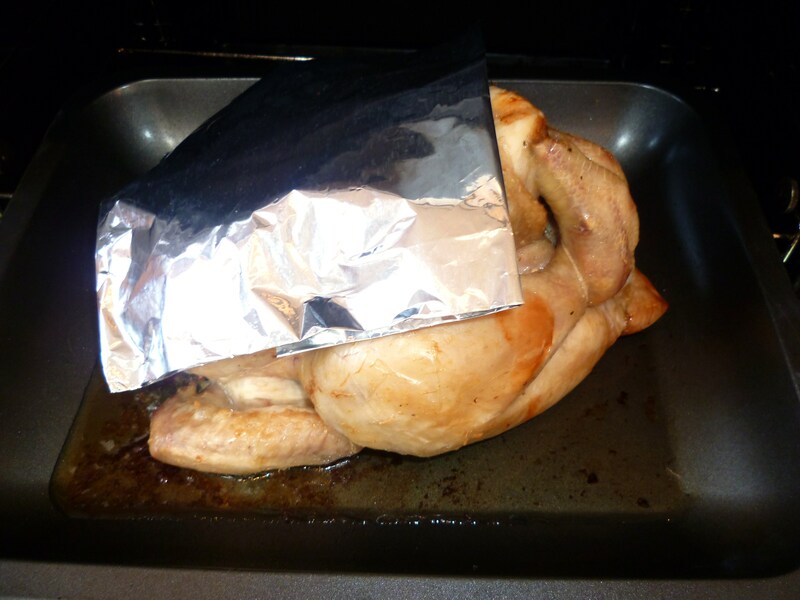 Unwrap your chicken, pat the skin dry with some kitchen roll, pre heat the oven to 190 degrees C.
In a little dish on the side put the butter (best if its room temperature) chopped up thyme, garlic and about a teaspoon of lemon juice (don’t squeeze the lemon too hard when you do this, you need to slice the lemon to fit under the skin. Carefully undo the elastic that holds the legs in place, don’t take it off completely otherwise you’ll never get it back on. You just need enough room to get your fingers under the skin on the breast. put a chunk of the butter mix on the end of your fingers (about the size of a stock cube), put your fingers under the skin as far as you can get the squeeze the butter off your fingers, and then squeeze it down the rest of the way from the outside by massaging the skin. It’s really difficult to explain. Next time I’ll get a picture. 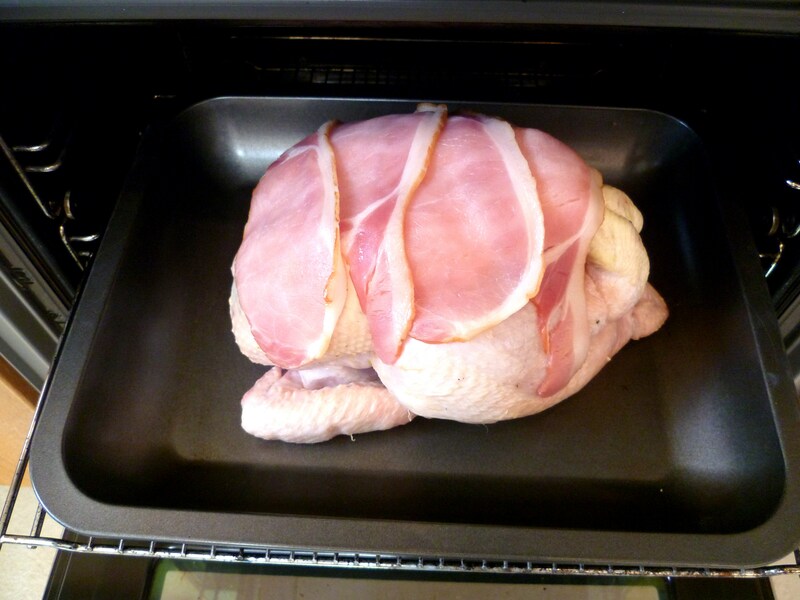 Once you’ve got the butter down inside the skin of both breast, push a couple of lemon slices under the skin too. This may all seem like a bit of a faff but it’s really worth it!! 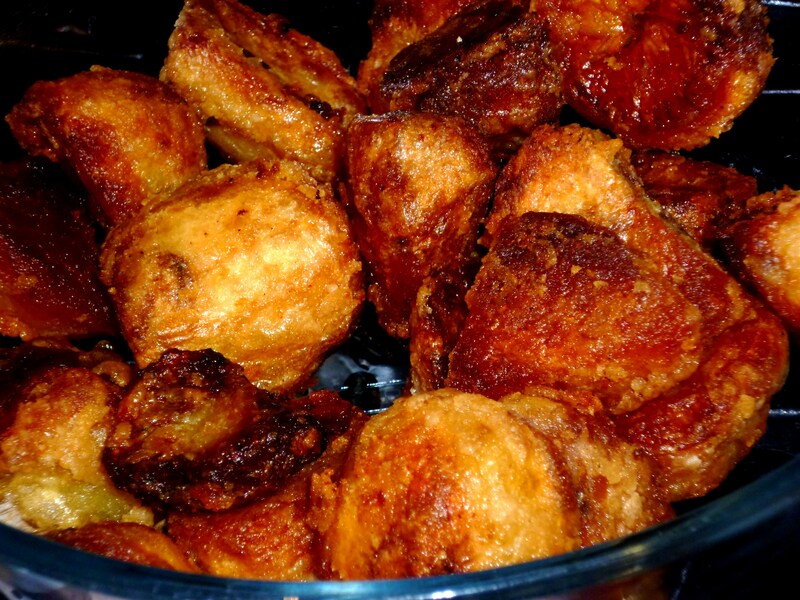 While the chicken is in the oven, peel the potatoes and cut them into roast potato size chunks. Pour boiling water over them and par boil the potatoes for a couple of minutes. 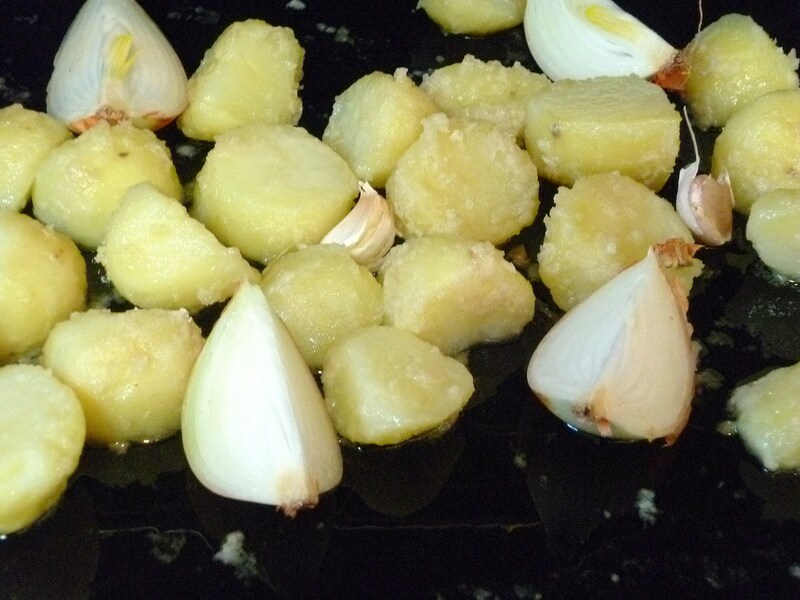 Drain the potatoes and pop them back in the saucepan with a tablespoon of flour. Lid on. Shake like crazy. Pop them in the oven for about 40 minutes. 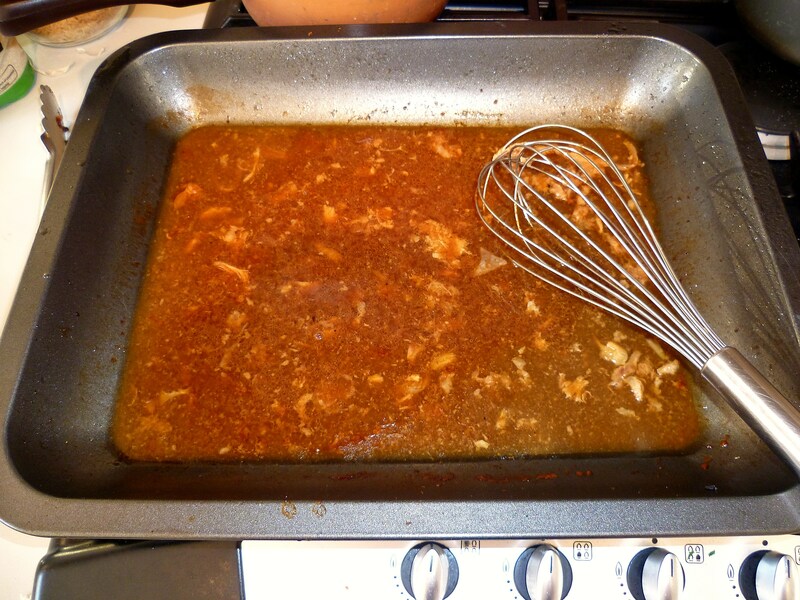 When the chicken is done, take it out of the oven and pop it on a large plate (make sure the plate has edges otherwise any juice from the chicken will go everywhere. DON’T PUT THE ROASTING TIN IN THE SINK YET!!! Put it on hob, heat and with a wooden spoon scrap the sticky yumminess off the bottom of the tin. 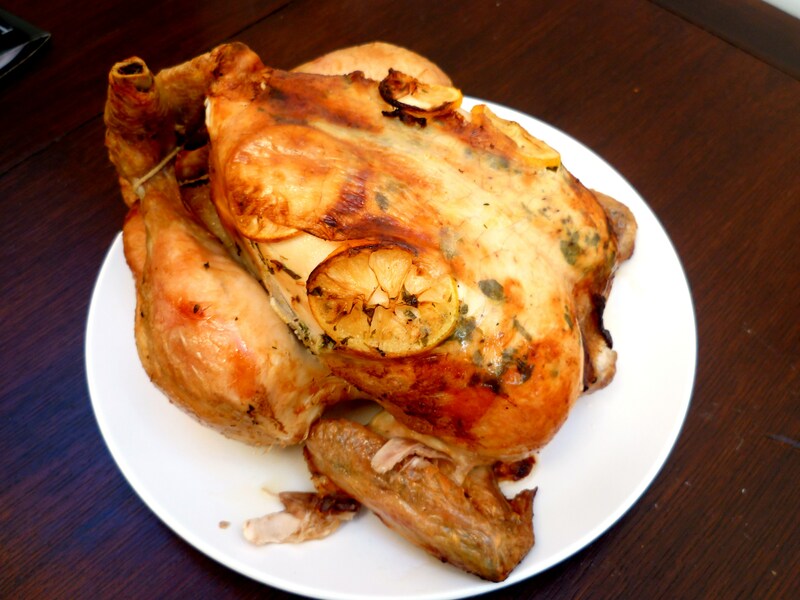 Carve the chicken, pop a few potatoes and a spoonful of veg. Pour over a generous shloooop of gravy. 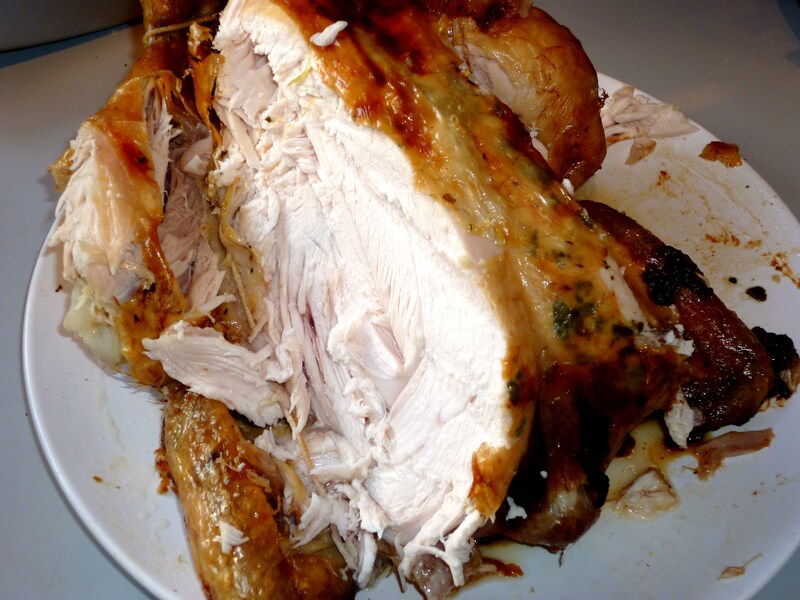 Have a look at how juicy this chicken is. It’s all about the under skin lemony butter and the protection of the breast. 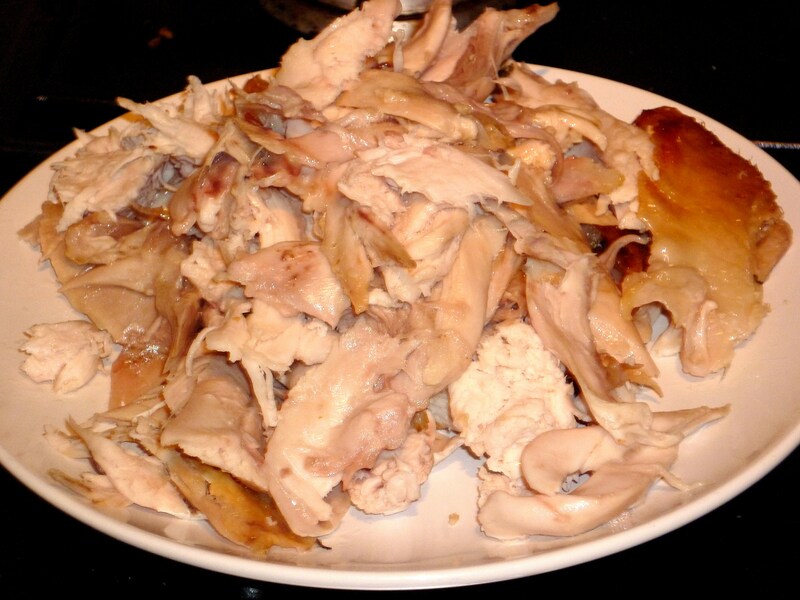 And look at all these leftovers!! I’ve got chicken sandwiches for lunch all week!! I feel the need to add a bit of a note a the bottom of this post about the chicken, I want to drum home that if it’s not free range, called Henrietta and reared by some farmer called Jock, it’s ok. Honestly it really is. If you can’t afford a the happiest of happy fat, the you can’t afford it, only buy what you can afford (ummm, obviously) but it’s about what you do with it, adding butter with herbs and garlic and other bits of yummines you’ll bring out all the flavour of the chicken.